We all have our preferences -- the watches that look better on straps and the watches that look better on bracelets. 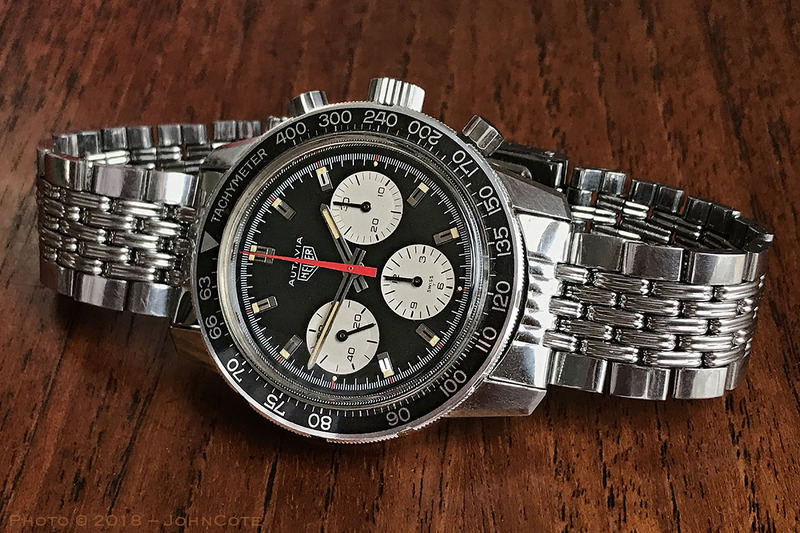 And I put this Autavia on the list of the watches that look perfect with the grains of rice bracelet. Some of the later Autavias may suffer from the big dog / skinny tail syndrome, but this one looks perfect . . . at least to my eye. Congratulations on the beautiful pairing!! : watch really comfortable to wear. : Anyway, happiest of the holidays from my Autavias to yours.